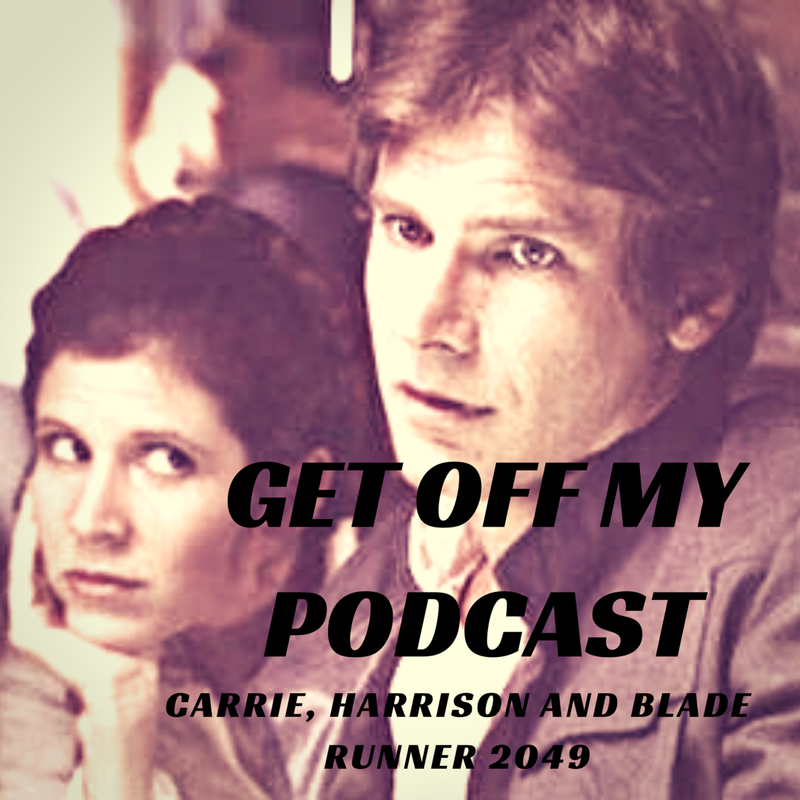 Carrie Fisher | Get Off My Podcast! Ever wanted to have two nerds yaking in your ear while watching Star Wars? Cool. This may be for you. 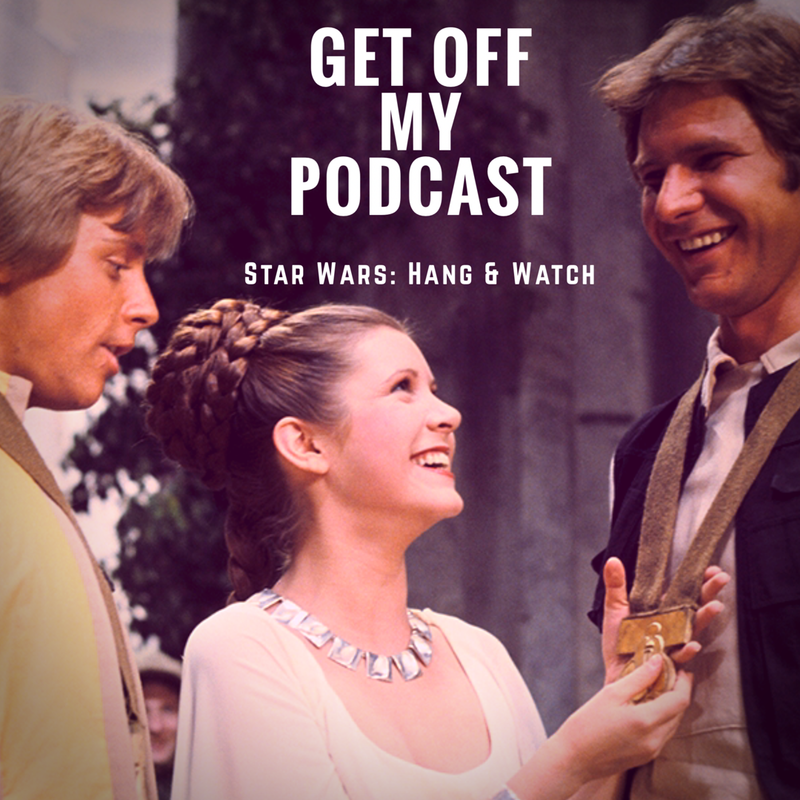 For the 40th Anniversary of Star Wars: A New Hope, we decided not to do a normal episode of Get Off My Podcast. We want to watch Star Wars with YOU! This is a “commentary” of sorts, for the greatest movie of all time Star Wars Episode IV A New Hope. Don’t think of this as a traditional commentary but more like hanging with a couple Star Wars nerds and watching a movie. Instructions lie within the podcast. But I will tell you that we are using the 2004 remastered DVD release of the film that runs 123 minutes. We start watching at the 00.00 mark (after the menu screen), this will be setup once you start listening. Also something of note, this is not designed to be listened to without watching Star Wars at the same time so you may want to sit this one out if you don’t have the movie in front of ya. Excited to watch Han Solo teach a farm boy some new tricks with you. Let’s do it! Hey no harm no foul on the whole “landing on a taxiway instead of a runway” thing, right! ?If Harrison Ford wants to land on a Taxiway, you let him land on a Taxiway! So our boy, Harrison gets in a bit of trouble with the FAA, so we need to talk about it. We also try to update Harrison’s upcoming projects like Blade Runner 2049 and Indiana Jones 5. Music by Night Stop, song called “Harrison Ford”. Show is hosted by Mike and Trent. Contact us: harrisonfordpodcast@gmail.com. We pay our repects to Harrison and everyone’s Princess, Carrie Fisher and reveal some things we might not of known about the Star Wars set. BREAKDOWN! We breakdown the Blade Runner 2049 trailer!! We catch up with all the other relevant Harrison Ford Universe movies #HFU, including Rogue One and how Harrison could be in Episode VIII. Sitting on the edge of Harrison Ford’s Wyoming ranch, stalking waiting for our boy, Harrison Ford to do something..
Harrison did do something. But it was many years ago. Carrie Fisher fills us in on what happened between her and Harrison on the set of “A New Hope” – btw, we knew what happened, Carrie. But it is interesting to hear what happened. The real question is: Does this old affair with Carrie tarnish Harrison’s image or make him more of a badass? We move on from that and give updates on all the Harrison Ford Universe (the HFU) projects in the works. Including Indiana Jones 5, The Force Awakens, Blade Runner 2049, Official Secrets, Han Solo film and Rogue One. In fact, we go deep into Rogue One and try to figure out what Star Wars characters we want to see and give a tailgating perspective on the movie. All that and more if you just click and listen to the show! Get Off My Plane AGAIN!